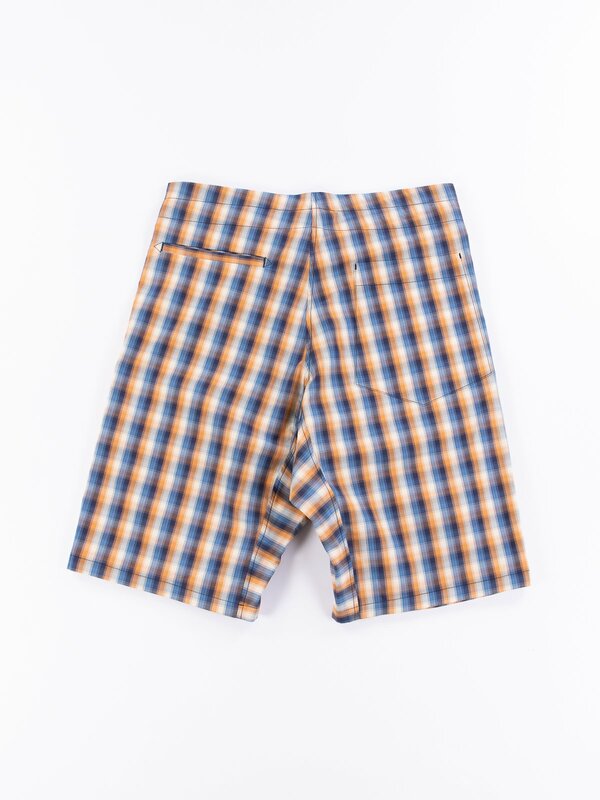 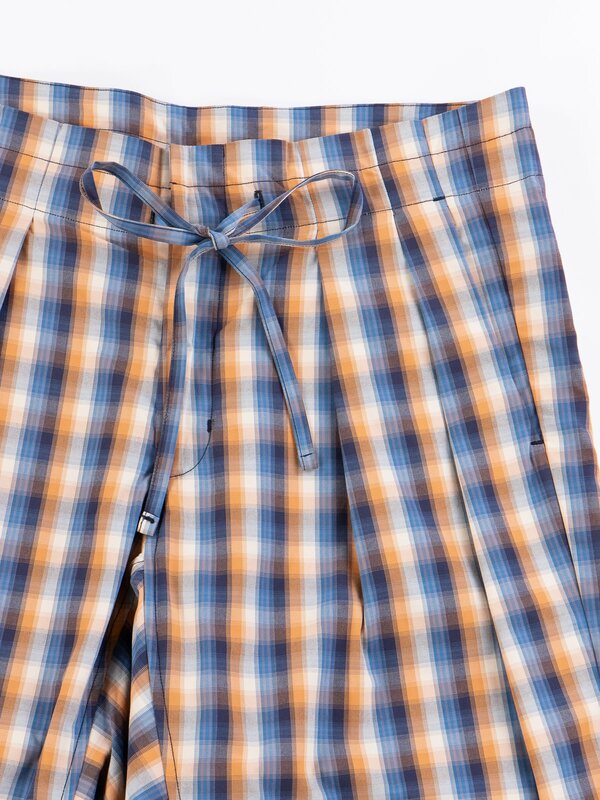 Blue/Orange Plaid Oxford Vancloth Drop Crotch Shorts. 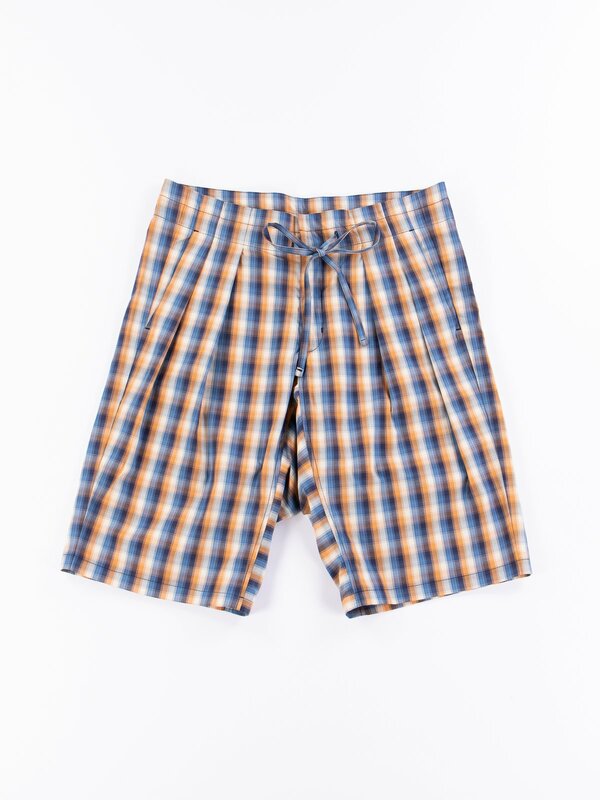 Comfortable, loose fit, knee length shorts in Vancloth Oxford fabric with a diamond shaped gusset, pleated front, zip fly, drawstring waist, 2 slanted front pockets, 2 back pockets. 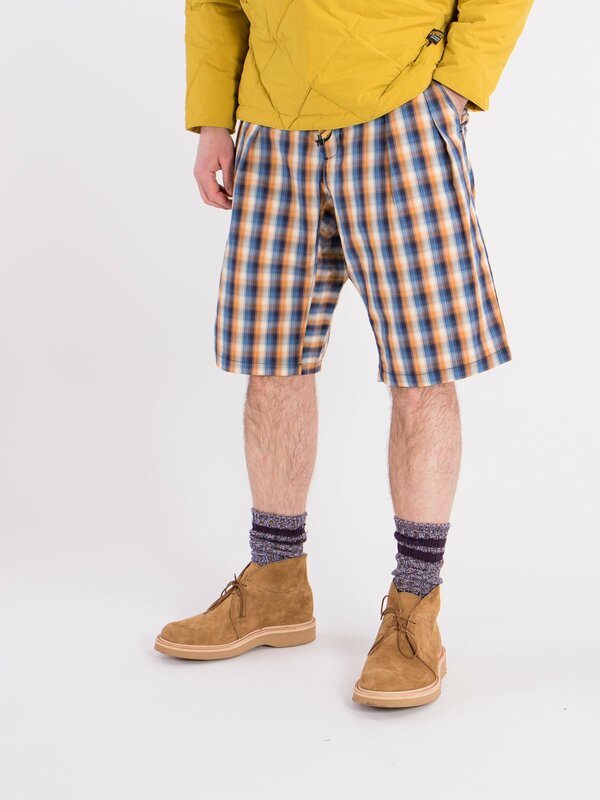 Model is 6ft, 32” waist and 32” inside leg. 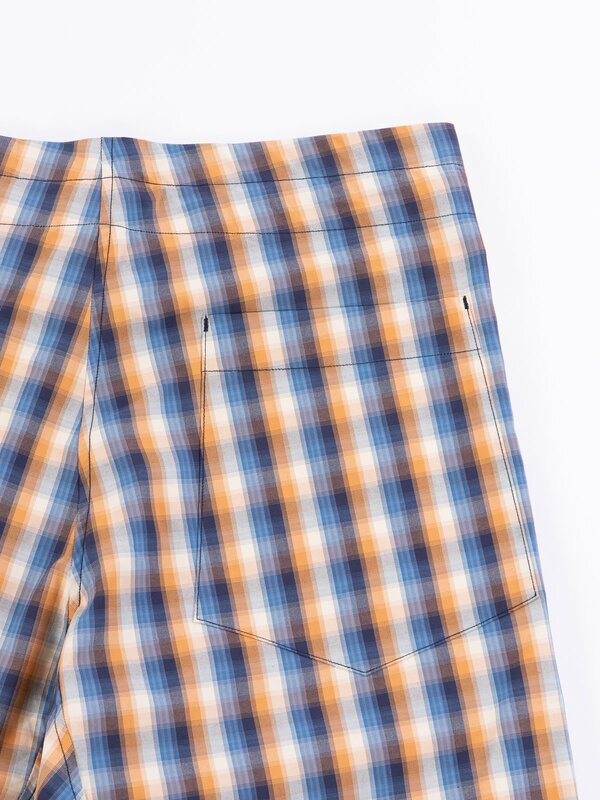 He is wearing a size S.
Size recommendation – Loose fit, XS = 30–32”, S = 32–34” waist.